fine jewelry wholesale new style blue red yellow natural crystal stone 925 sterling silver wedding ring women Pls add our wechat: MEDBOO , any style we can make it for you, just providing samples or pictures, gold jewelry 1pc MOQ, silver jewelry 30pcs per style MOQ, welcome to cooperate with us! Our factory is specialize in making gold and silver natural gemstone jewelry for more than 15 years, products including gold and silver inlaid natural gemstone jewelry and natural crystal beads jewelry, factory about 3000 square meters, located in Panyu district Guangzhou China, which has a famous name of "The Worlds' Jewelry City". We have worked a great deal to make our name and brand respectable. We have our own professional designs team and customer support team. 4. What is production time9 Usually, we take 2 weeks to produce your designs. Q3: How can I get a samples9 A: We can provide free existing products sample for you evaluation. We will charge mould cost and send pre-production samples (freight collected) for you approve & test. Because we have our own factory, so we can control and promise all the steps of the production process. Shenzhen Jiagelin Trade Co., Ltd.
,Ltd is a professional manufacture of necklace,rings, earrings,bracelets,Charms,Pendants and other jewelry goods. With more than 10 years' experience in offering OEM service, whose product fully meet customer&rsquo;s personal demand. Our product has exported to more than 400 countries and regions,which win favorable comments from customers worldwide. 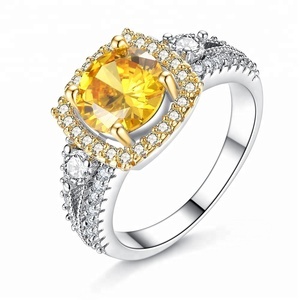 Alibaba.com offers 6,563 yellow crystal ring products. About 29% of these are rings, 9% are copper alloy jewelry, and 6% are silver jewelry. 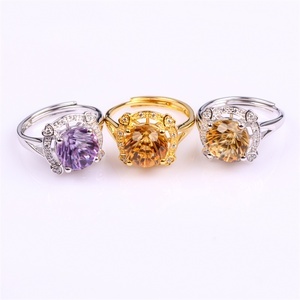 A wide variety of yellow crystal ring options are available to you, such as anniversary, gift, and engagement. You can also choose from free samples, paid samples. 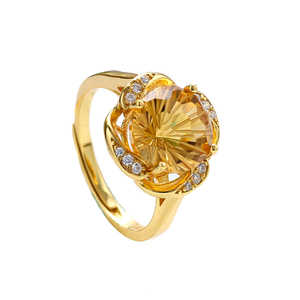 There are 6,479 yellow crystal ring suppliers, mainly located in Asia. The top supplying countries are China (Mainland), Hong Kong, and India, which supply 72%, 25%, and 1% of yellow crystal ring respectively. 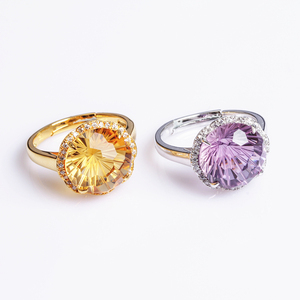 Yellow crystal ring products are most popular in Western Europe, South America, and North America. You can ensure product safety by selecting from certified suppliers, including 643 with ISO9001, 543 with Other, and 31 with ISO13485 certification.